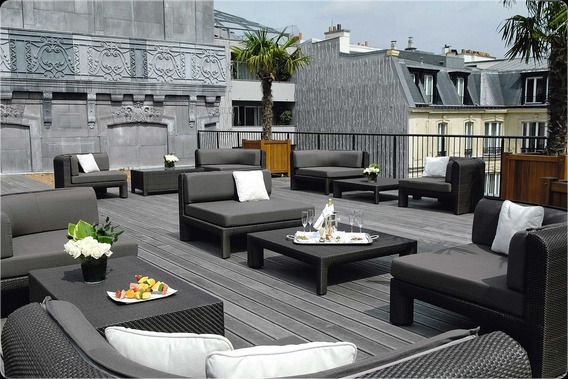 Hotel Fouquet’s Barrière, Paris is a Member of the Leading Hotels of The World and is also one of the rare hotels to be Leading Green Certified. Its ethic of Sustainable Luxury/ Dignified Luxury® is supported even further by its triple certifications: ISO 14001— for its environmental initiatives; SA 8000 for its respectfulness towards human rights and the rights of children; and ISO 9001 for its superior quality of service. The Hotel Fouquet’s Barrière, opened in 2006, is attached to the legendary Fouquet’s Restaurant at the Golden Triangle of Ave. George V and the Champs-Elysées. The hotel is involved, through its Leading Hotels of the Worldmembership in the “Make a carbon neutral booking” program, allowing their clients the opportunity to fully offset the carbon emissions generated by their travel. It was just a year ago, in July 2010, that Hotel Fouquet’s Barrière was the first hotel in Europe to receive the distinguished Luxury Eco Certification Standard (L.E.C.S.) from Sustainable Travel International. 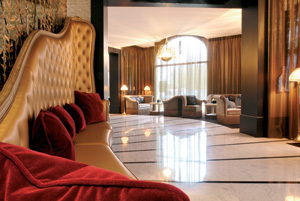 In 2010 approximately 4-6 tons of organic waste was recycled by Hotel Fouquet’s Barrière . In 2009, 30 tons of waste was recycled by Hotel Fouquet’s Barrière. The hotel works with Saria Industries which offers them the best by-products from their upstream and downstream Biomass recycling systems. The company collects organic waste, primarily food waste, which is then sorted before being processed. Through a biomethane process, the waste generates gases used to produce heat and electrical power while the remaining solid waste is used as fertilizer. 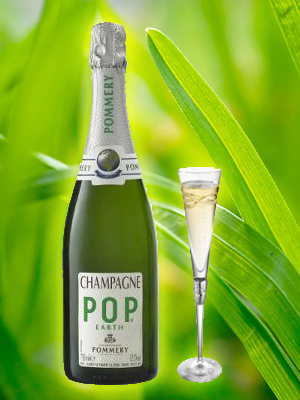 Pop Earth is Pommery’s first “eco-citizen” champagne and it had its world debut at Hotel Fouquet’s Barrière. The champagne is made from Pinot Noir, Pinot Meunier and Chardonnay grapes harvested from sustainable vineyards. It is bottled in lighter bottles that use only half the glass and labelled with recycled paper and printed with solvent-free inks. Tea served is all organic and the hotel prides itself on its relationship with Pascal Hamour who packages his teas in biodegradable bags. They serve these refined, subtly aromatic teas with Fair Trade sugar. Every harvest season, the Hotel Fouquet’s Barrière team participates in the Hotel Fouquet’s Barrière Grape Harvest on the Bordeaux Chateau of prestige winemaker Marie-Laure Lurton. The vintage is then auctioned off and proceeds are donated to the reforestation project of the Gabardon municipalities. Read the detailed article on Local Food And Wine. 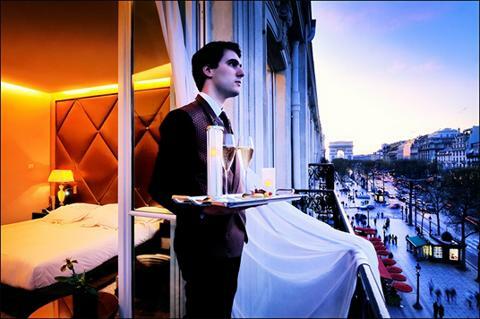 If outstanding service is truly what sets a Five-Star property apart, then Hotel Fouquet’s Barrière’s designated Butler service distinguishes it from all other Luxury Hotels. Every guest, whether you book their Superior Room or the Presidential Palace, is assigned their own private butler, whose job it is to accommodate the guest’s every request 24 hours a day, at no extra charge, for the duration of your stay. And in case we didn’t mention it yet, Hotel Fouquet’s Barrière also has the coolest swimming pool of any hotel spa in Paris. Heading to Cannes? Try their Hotel Majestic, a Lucien Barrière Hotel.